‘Leona Vicario’ Rural Primary School was the first Mexican primary school to be adopted as a “Sister School” of U.S. school. Their first partner in the United Sates was the New Hampshire Estates Elementary School, a public school in Montgomery County, MD, with a significant Hispanic student population. The partnership between the two schools was made possible thanks to funds raised in Partnership with the Takoma Park / Silver Spring Food Cooperative in mid 2009, which covered the adoption fee of $250. The relationship between the two schools was officially launched on September 24th, 2009 when William Dent, Natural Partners Executive Director, and Betty Soláris, Director of our local partner Biocenosis, personally delivered to the Director of the Leona Vicario a letter in Spanish from New Hampshire Estates ES with photos of the students in the participating classes. The letter was read by the Director to students at his school. 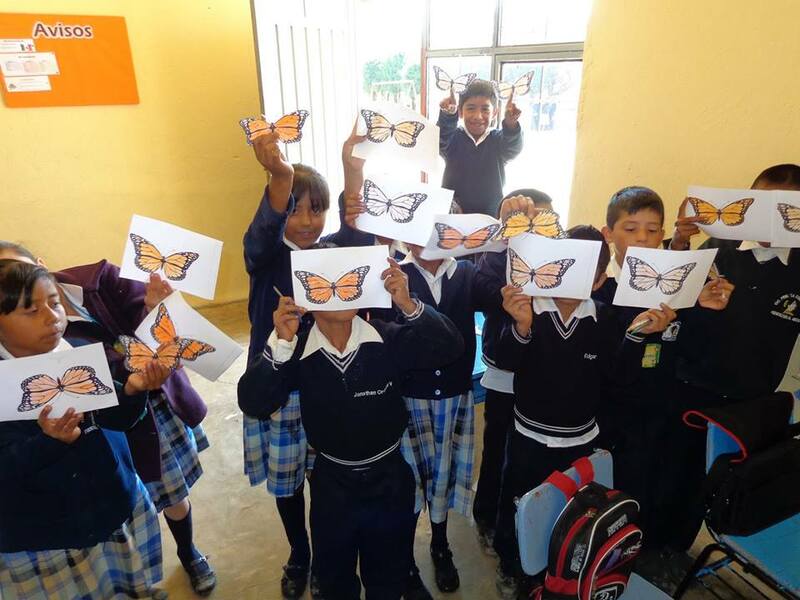 Biocenosis is a key nonprofit partners of the Monarch Sister Schools Program in Mexico, along with Alternare, and has been instrumental in implementing Program activities locally. These include not only ‘PenPal’ correspondence but environmental education and the management of schoolyard based tree nurseries and related reforestation activities with the students and their parents. To date Leona Vicario Primary School has Skyped and exchanged PenPal letters with over 5 MSSP schools in the United States.